Attention: All the deals are over now! 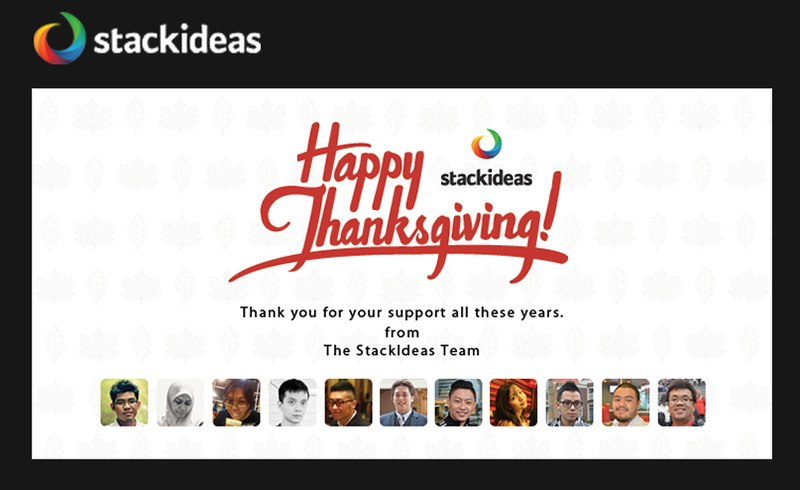 Happy Thanksgiving, Black Friday & Cyber Monday (Phew! What's a mouthful!). I know how hard it is to hunt down the best deal during this time of the year (‘cause I do too). To save you guys the time, we'll be collecting ALL the available deals on Joomla templates from EVERYWHERE around the internet into this one single blog post. Disclaimer: we are not affiliated with ANY of the below providers! Save up to 50% discount on all products. The campaign is huge with various deals for each day because we want to make sure we don't miss anyone or any packages. No deal found - To be updated >>> If you know any, please tweet us with the hashtag #JoomlaBestDeal @JoomlArt via our Twitter. 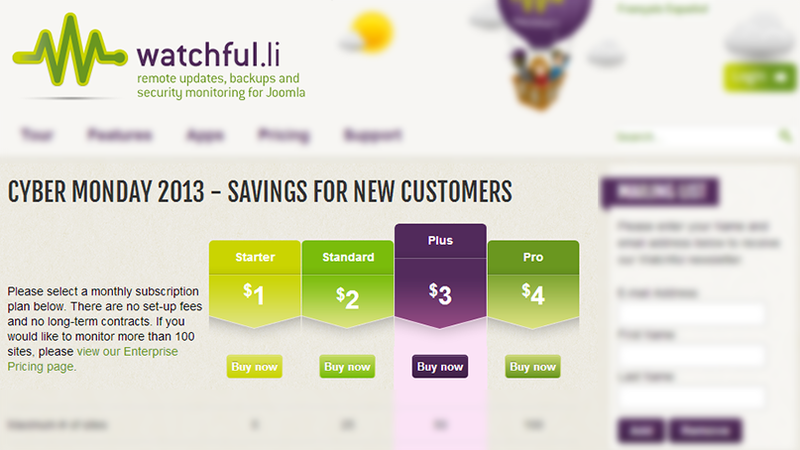 Enjoy 30% discount on all subscriptions. Coupon Promo2013. Valid until 2nd December 2013. Enjoy up to 50% OFF on all membership plans. Valid until 30th November 2013. Coupon BFBASIC15 to get 15% off on Basic membership. Coupon BFSTANDARD30 to get 30% off on Standard membership. 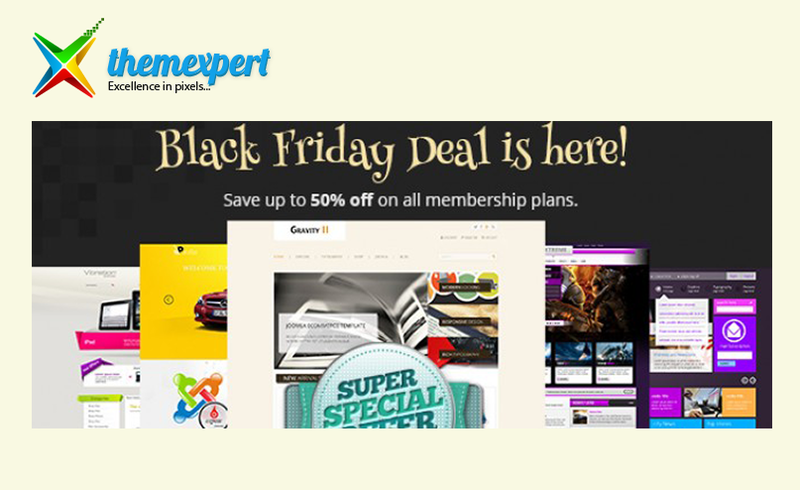 Coupon BFPRO50 to get 50% off on Pro membership. Black Friday and Cyber Monday: 50% OFF on any purchase. 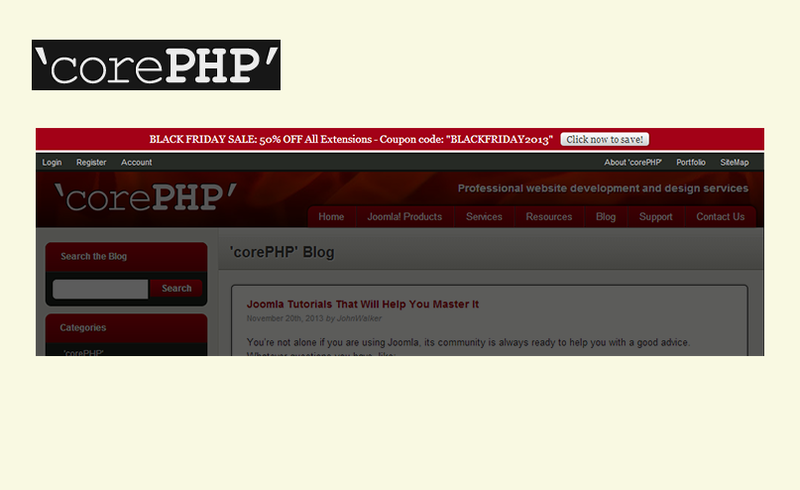 Coupon cyberblack. 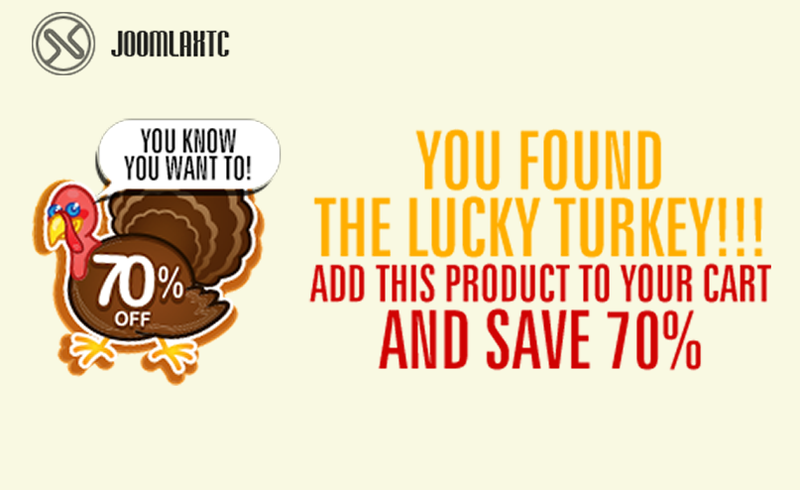 Thanksgiving: Enjoy 70% Off Turkey Hunt Extended Game. Save 25% OFF on Everything. Coupon BFriday25 for all products. Valid until 28th Nov 2013. Save 40% OFF on Everything. Coupon blackfriday for all products. Valid until 29th Nov 2013. Save 25% OFF on Everything only from November 29th to December 2nd. Coupon OSFRIDAY for all products. Valid from 25th to 30th November 2013. 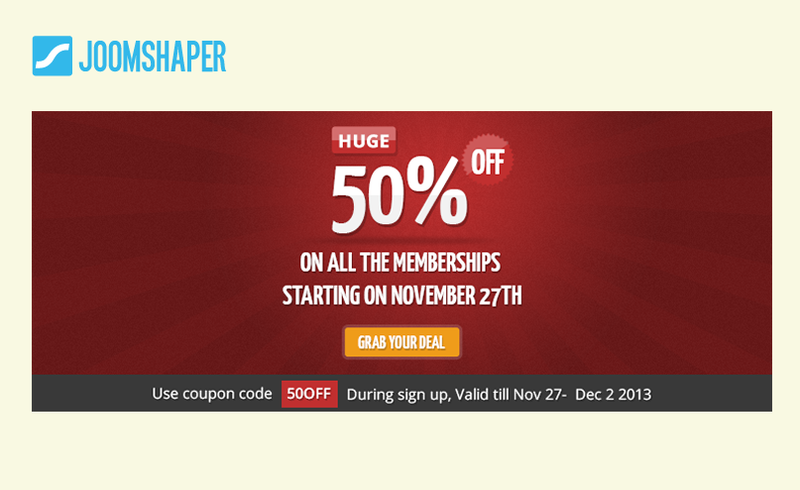 50% OFF on ALL memberships. Coupon 50OFF. Valid from 27th November to 2nd December 2013. 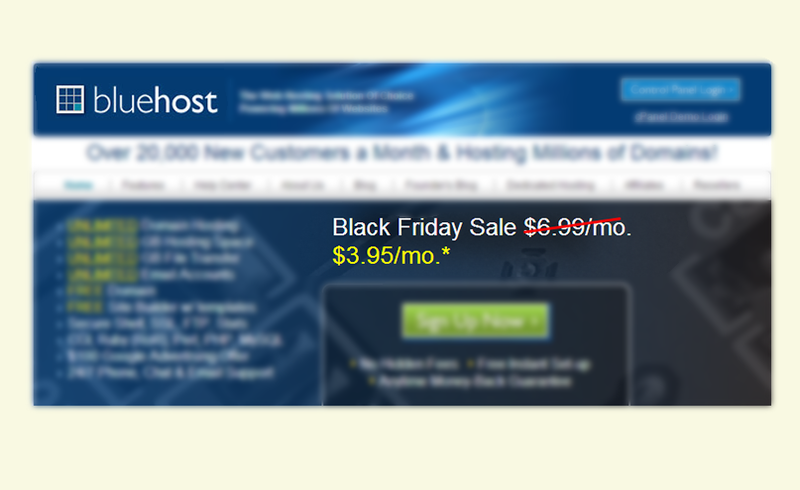 30% OFF on any license renewal for EasyBlog, EasyDiscuss, Komento and SectionEx with the coupond THANKS30. 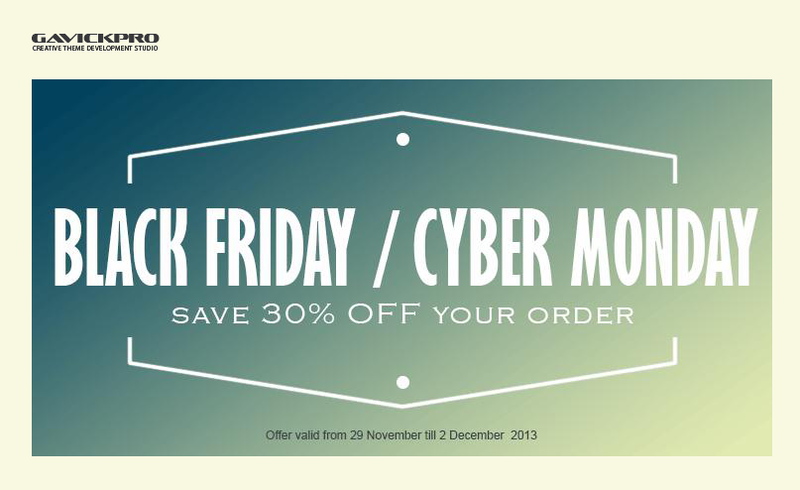 Valid until Thursday, 28th November 2013 (UTC+8). 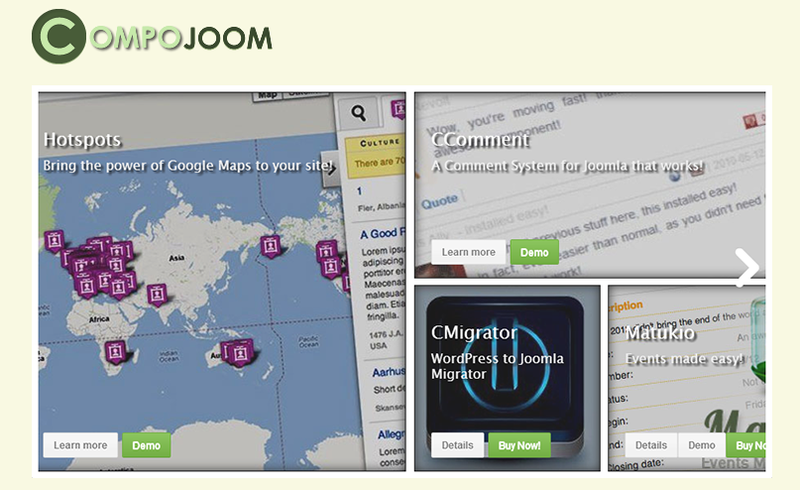 Download Joomla extension - Hotspot for free. 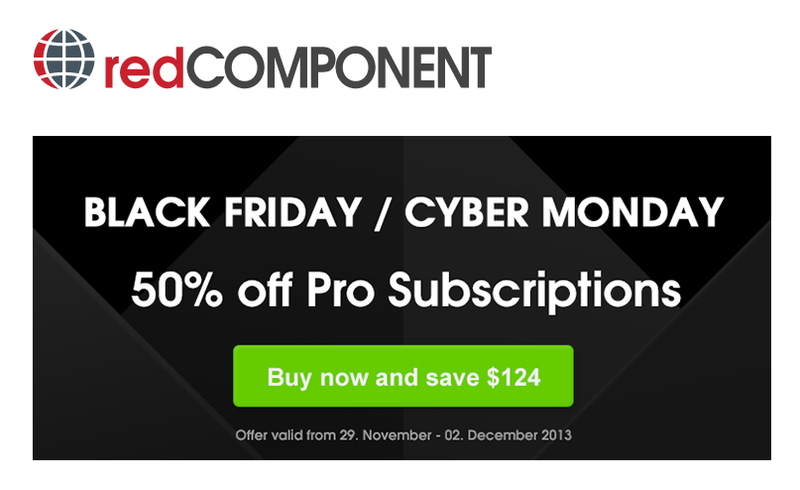 Save 50% OFF all on redCOMPONENT. Coupon BLACKREDCYBER50 for all products. Available from 29th November to 2nd December 2013. Save 30% OFF on Everything. Coupon THANKS2013 for all products. Available from 25th to 30th November 2013. Black Friday deal of 50% OFF on ALL products. Coupon BLACKFRIDAY2013. Available from 27th to 30th November 2013. 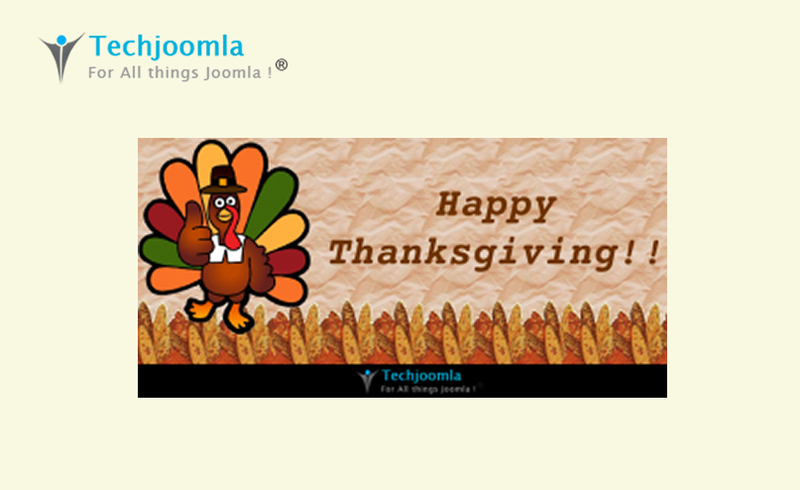 Thanksgiving: Save 25% off throughout Techjoomla Store on all products & promotional packages. Coupon TurkeyMagic13 for all products. Black Friday: Save 35% Off on Select Products. Coupon BLACKFRI13. 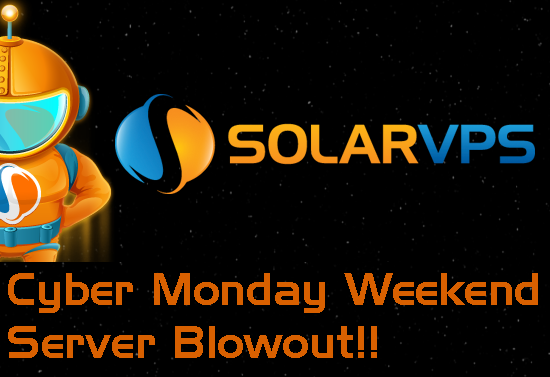 Cyber Monday: 30% off on Promotional Packs. Coupon cyberM13 for all products. 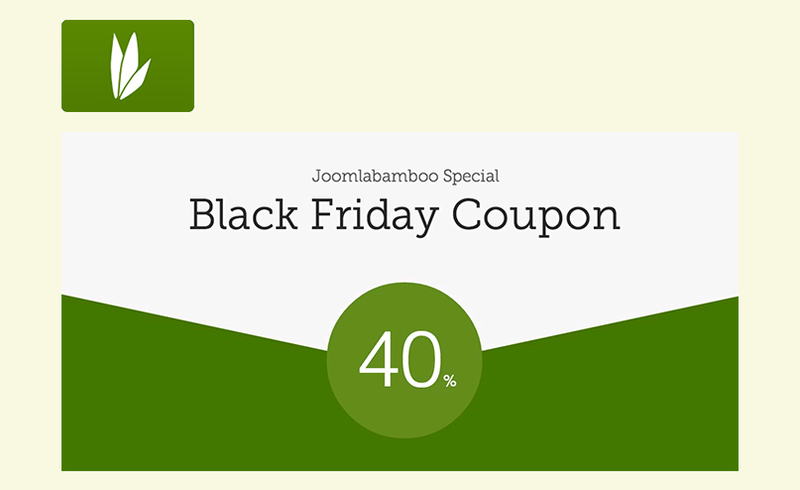 Enjoy 40% discount on all subscriptions. Coupon CYBERMON. Valid until 2nd December 2013. 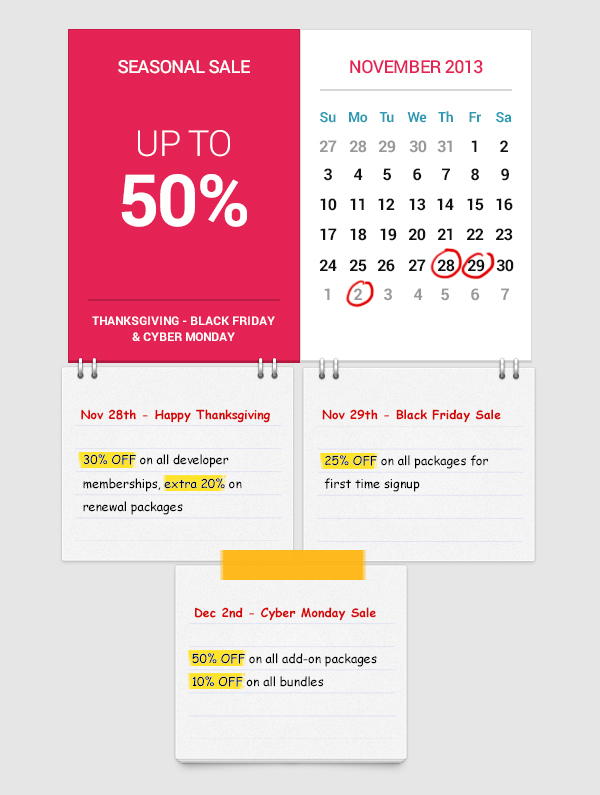 Save 50% OFF on Everything only from November 29th to December 2nd. Coupon Blackfriday2013 for all products. Valid from 29th November to December 2nd 2013. 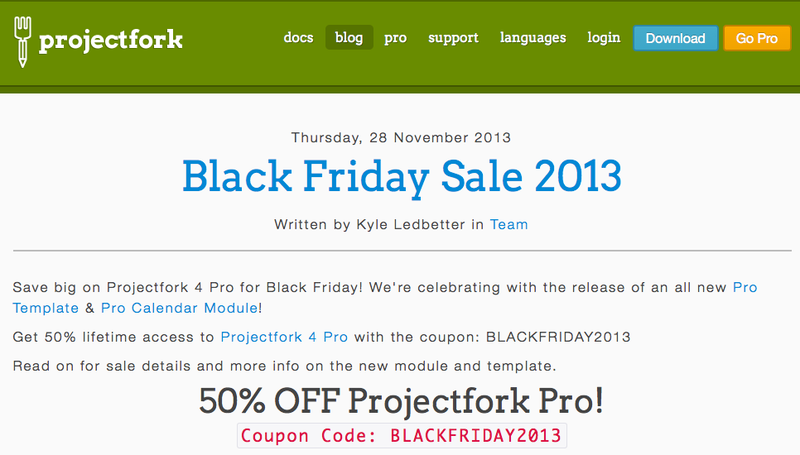 50% OFF PF Pro with the coupon BLACKFRIDAY2013. Valid until 2nd December 2013 at 11:59PM (UTC−6). 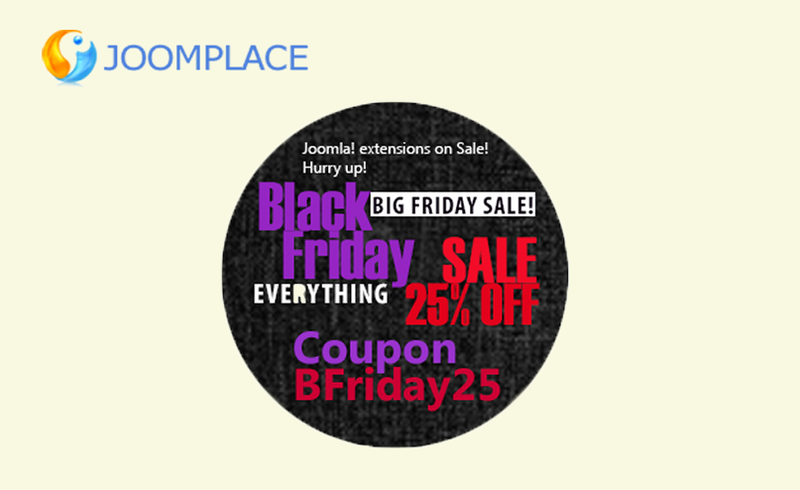 50% coupon for all Joomla extensions with the coupon BLACKFRIDAY2013. Valid from 29 November 2013 to 2nd December 2013. Only $3.95/month instead of $6.99/month originally. Save 25% OFF for the first invoice. 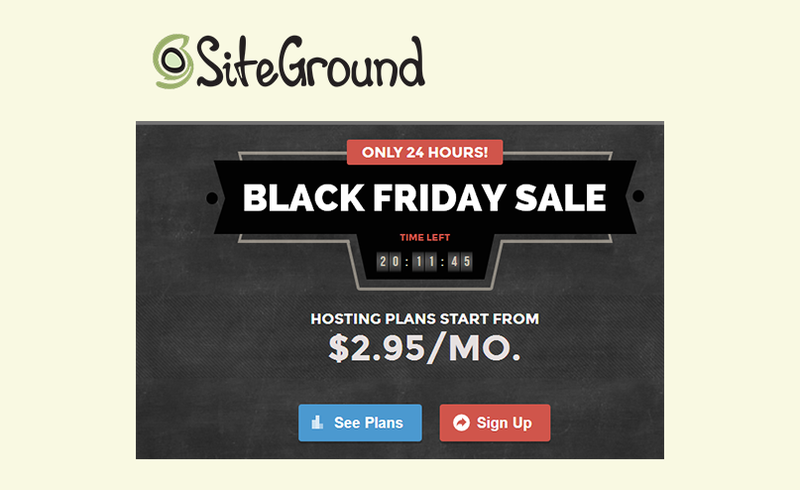 Enjoy hosting plans starting from $2.95/month. Enjoy $1 deal for first month of use with the coupon CyberCosmo2013. Valid from 29 November 2013 to 2nd December 2013. Enjoy huge savings for new customers with no set-up fees and no long-term contracts.